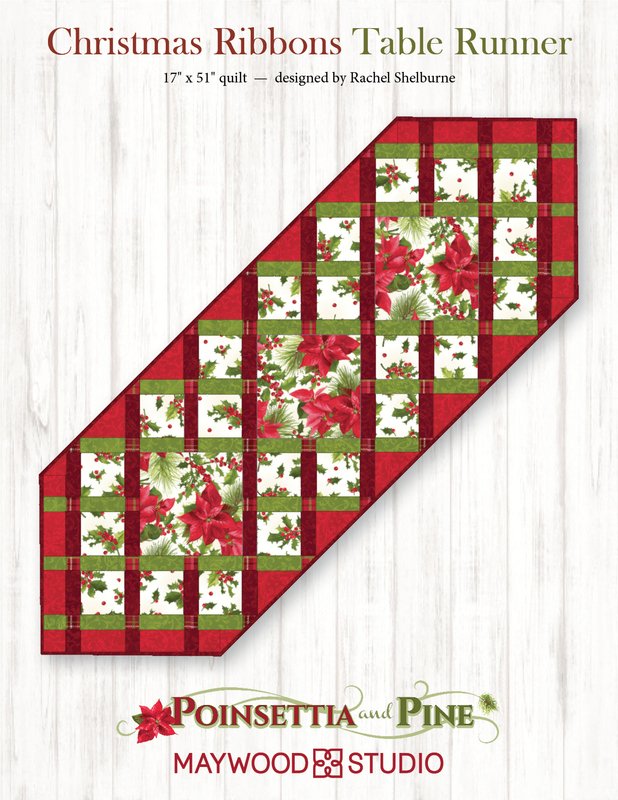 Gorgeous kit for a 17" x 51" Christmas Ribbons Table Runner using traditional fabrics from Poinsettia and Pine collection by Maywood Studio. 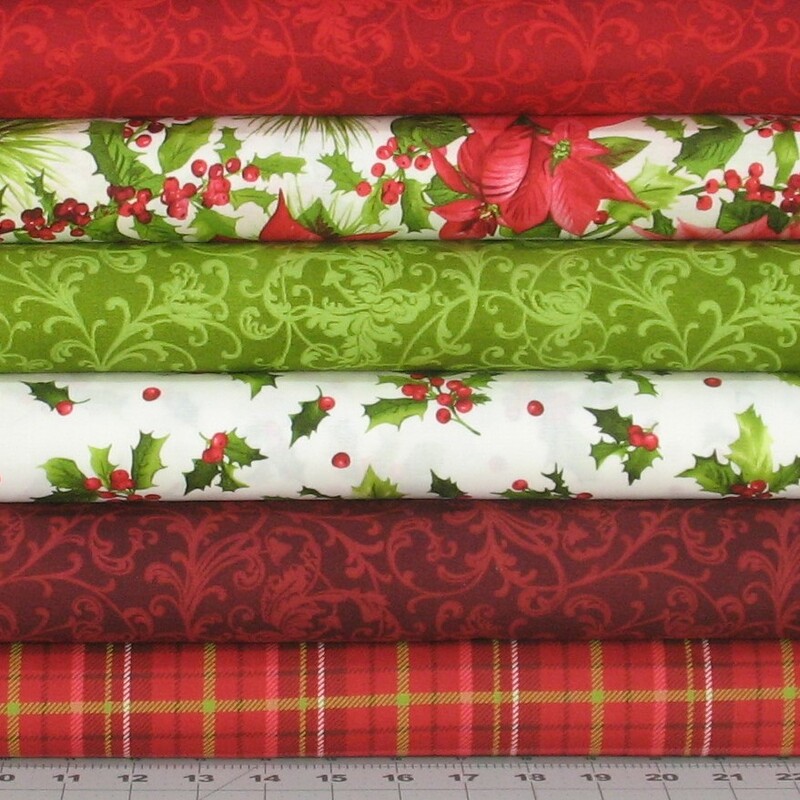 The pattern is by Rachel Shelburne. 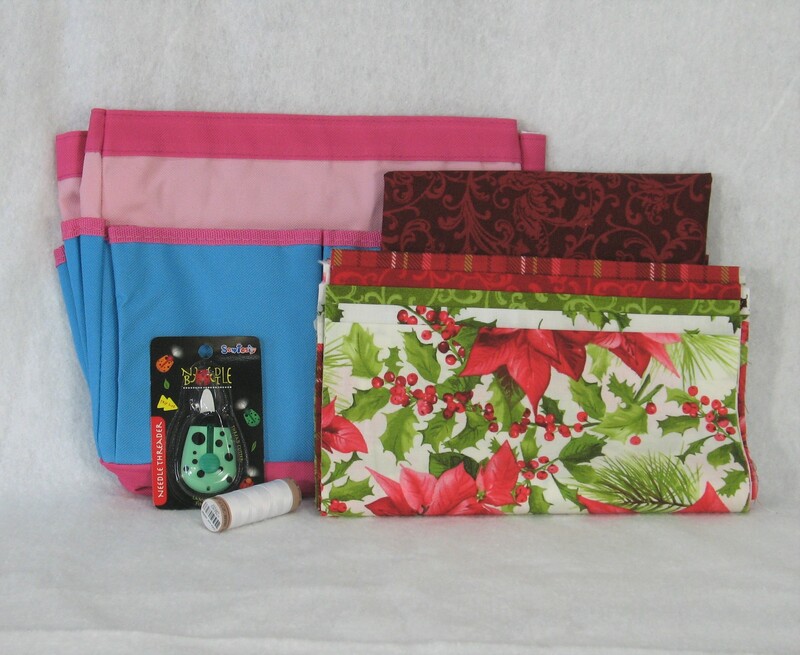 Kit includes all fabric for top, back, and binding; batting; lighted needle threader, thread, and project tote.